The focus would be to provide an overview and introduction to the key principles of Drupal as an open source platform and its relevance to the Librarians in terms of creating the next level of knowledge sharing and management options. (i) An introduction to Drupal as an Open Source Solution & Content Management System. (ii) Drupal's relevance to Librarians and Library management in today’s context of Semantic web. (iii) Drupal's capabilities in helping Librarians reach out to their community and bring them together. 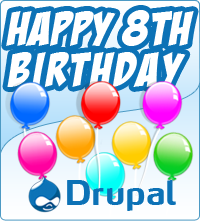 Drupal will open out the Knowledge repositories and let visitors to interact with it in new and different ways. The Libraries can then leverage the social publishing capabilities of Drupal for commenting, social tagging, personalized collections, mashups and a wide variety of other Web 2.0 features. View more presentations from shyamdrupal.